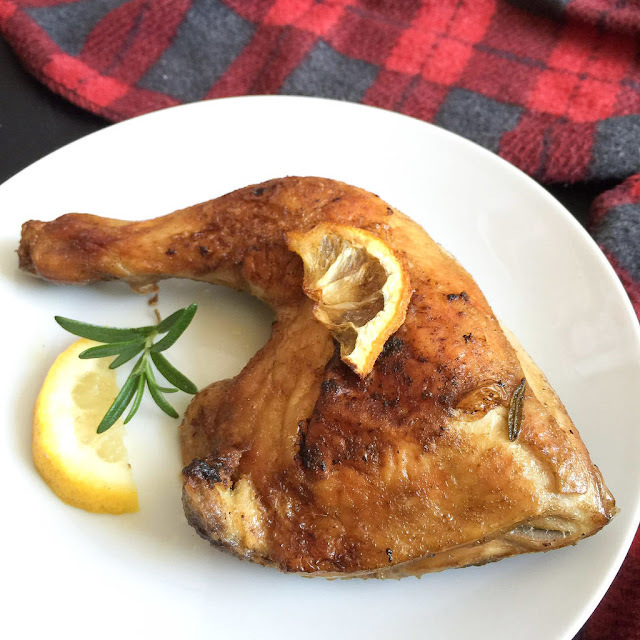 Lemon Rosemary Chicken is a moist, flavorful roast chicken dish. It i s so simple to make. You first marinade the chicken thighs with lemon, paprika/pepper and salt for 15 minutes. Then shallow fry it a skillet with lemon slices, rosemary and onions. 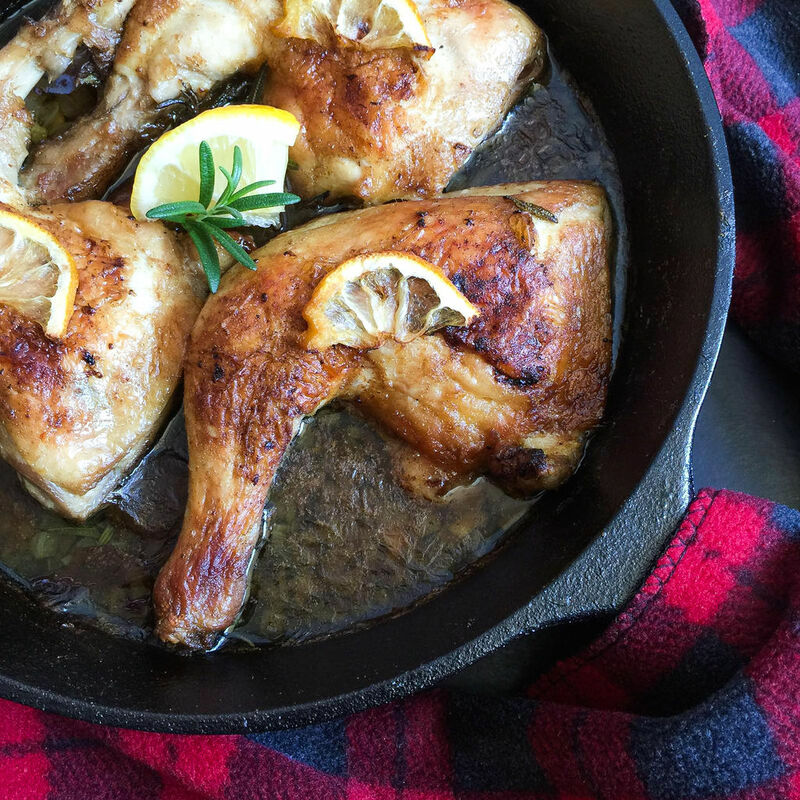 Once the outer skin turned to crispy and nice golden brown color, transfer the skillet into the oven and cook for an hour. Sounds simple and yumm, isn't it!? 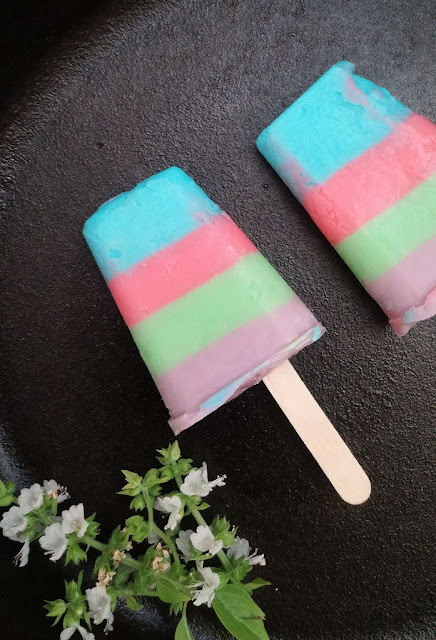 Read on for the detailed recipe. Wash the chicken with fresh running tap water and pat dry them thoroughly. Marinate the chickens with lemon juice, salt and pepper/paprika for 15 minutes. 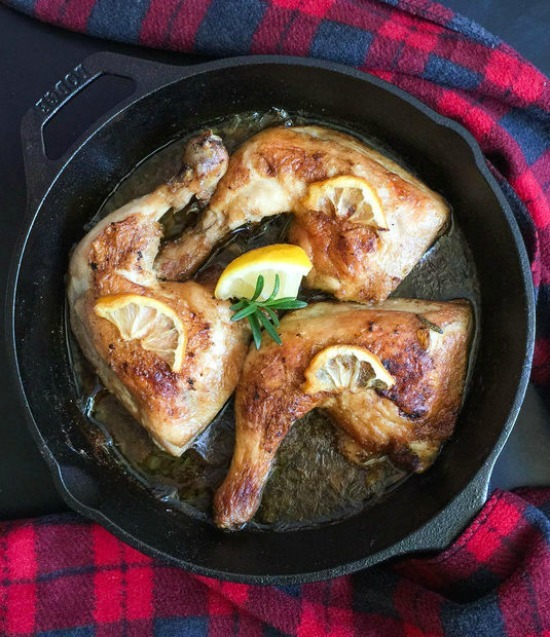 Melt butter in a cast iron skillet on medium flame. Add in rosemary and slices of lemon. Once the flavor comes out from rosemary, place the chicken thigh upside down on pan and fry until it turns to nice golden brown color. Flip the chickens to the other side and cook again for ten minutes. Take the fried chickens out from the skillet using tongs. Keep it on a plate and set aside. preheat oven to 375 deg bake mode. Now I am going to use the same skillet for frying onions and garlic. A tablespoon butter/chicken fat is enough for frying it. So just remove the excess butter from the skillet. Add in onions and garlic and saute for a minute on medium flame. Add chicken broth, bring it to boil. 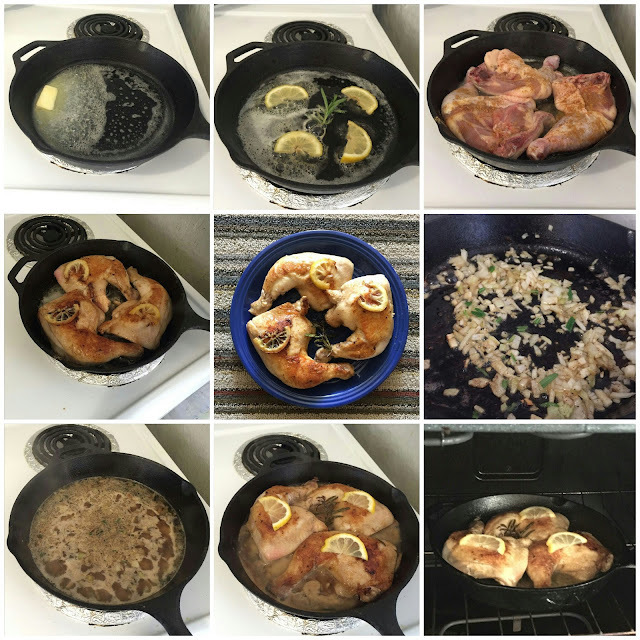 Once it begins to boil, place the fried chicken on the skillet, keep a slice of lemon on each chicken pieces. Transfer it to the oven and bake them for an hour or until it cooked well. After the cooking time, take out the skillet from the oven, let it sit for 5 minutes. Serve it with mashed potatoes and sauteed veggies. It's yumm!